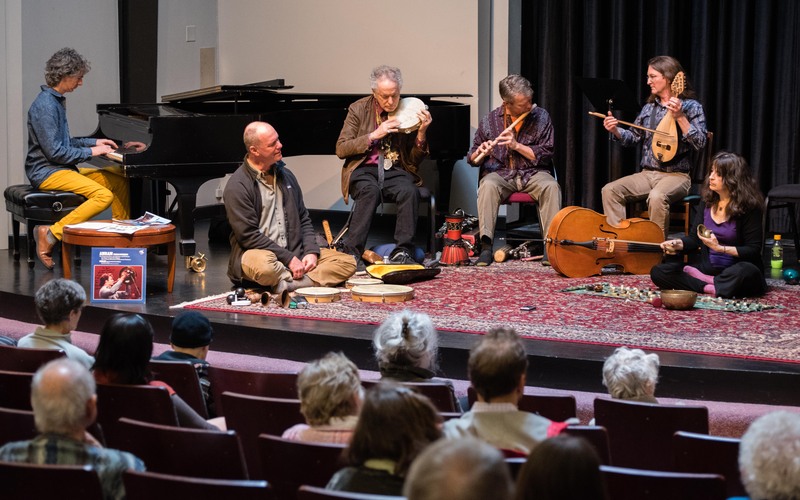 Take a quiet and relaxation-filled pause in your day to immerse yourself in a soothing improvised soundscape featuring instruments such as the Turkish Oud, cello, zils, didgeridoo, auto-harp, flutes, and more. Musicians include Jesse Manno, Michael Stanwood, Jenna Woods, Tom Weiser, Dexter Payne, James Hoskins and Victor Mestas. Midday Music is supported by Library Foundation and the George Lichter Family Fund.